The Row "Hidden" property is always false even though the row is hidden in Excel file. But the Row height was coming as zero (0). This is the designed behavior of Spread.Services. After importing the Excel file the hidden rows height is set to 0 knowingly. You would need to set the height to a number other than 0 to make it visible. Thanks. What is the use of "Hidden" property then? 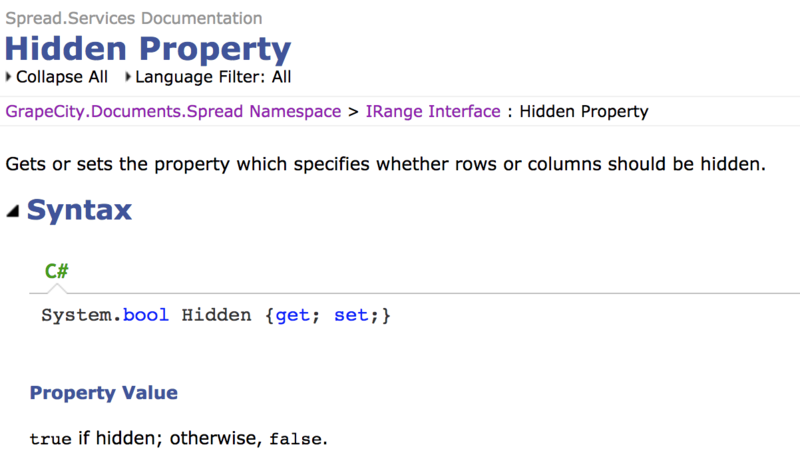 According to your documentation, it says "Gets or sets the property which specifies whether rows or columns should be hidden." I will discuss this issue with the development team and let you know the possible reason for keeping this behavior. I will let you know as soon as I get any update on this.